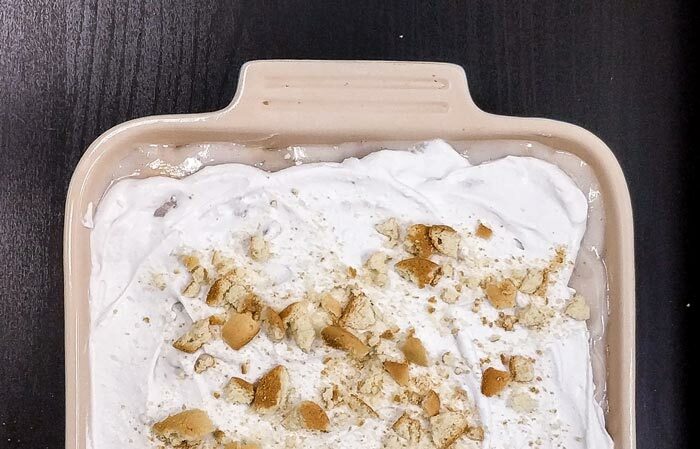 Here comes the fanciest dessert ever to step out of my Instant Pot. 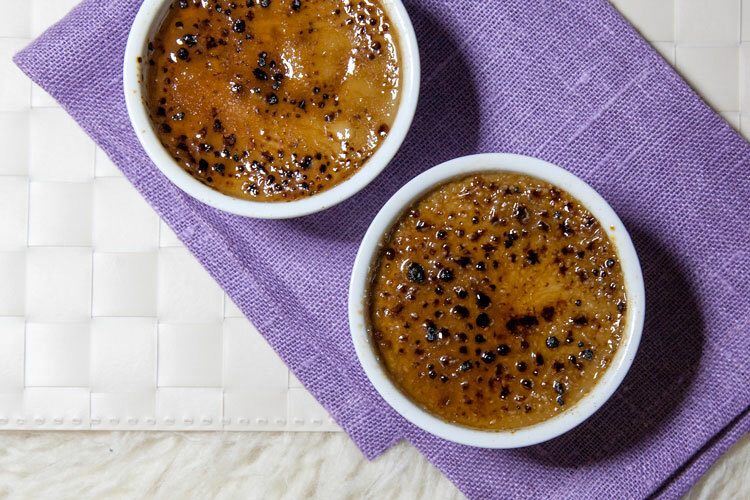 Pressure cookers have a special talent for foods that need to cook in a hot, wet place – including the finicky oven/hot-water-bath setup required by cheesecakes and, yes, creme brulee! 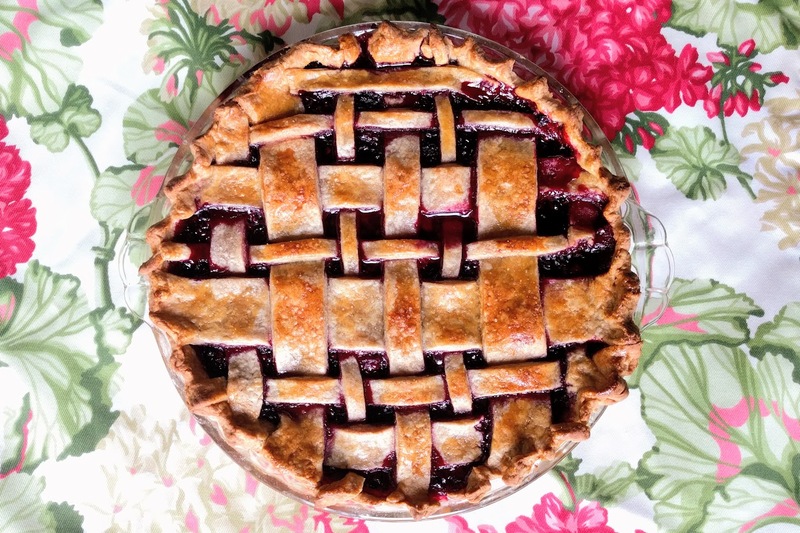 Did you know blackberries run wild in Seattle? Like, really run wild. Rubus armeniacus, the “Himalayan” blackberry, is an invasive species that has a special talent for sprawling its thorny brambles into every green nook and cranny of the urban landscape. This has earned it a reputation as a “problem child” of the local ecosystem, but I have to confess a soft spot for these wildlings. Who can stay mad at something so delicious? And how can anyone stare down a loaded thicket like this without their latent hunter-gatherer instincts kicking into overdrive? As I scramble through my last month living in San Diego, I was lucky enough to take part in one last Healthy Dining Office Potluck. When you work with a team of Culinary Dietitians and other foodie health professionals, potluck celebrations are serious business. Looking back on the 2.5 years that I’ve worked with this team, I’m pleasantly surprised that I had a chance to document several of my contributions online here: there have been polenta-crusted quiches, gluten-free peach cobbler scones, worksgiving goat cheese mashed potatoes, and platters of avocado toast slathered with chimichurri sauce. But to date, my crowning achievement was at a banana-themed bash we held last October, so this week I had go out with a bang and recreate my biggest hit. This may be the most festive snack you can enjoy while watching the 2016 summer Olympics in Rio. 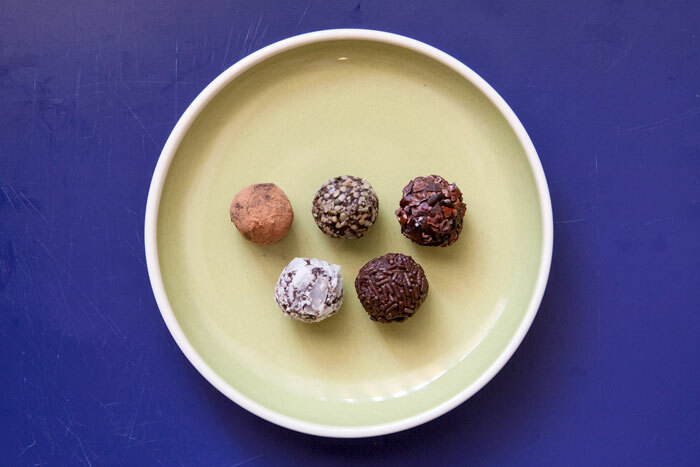 Not only is the brigadeiro the hosting country’s most beloved dessert… there’s also something delightfully ironic about admiring world-class athletic prowess, while eating bonbons on the couch. This was a big week for my favorite pressure-cooking kitchen companion: can you believe that among all the super-sales on Prime Day, Instant Pot was the #1 top-selling non-Amazon-device item in the US? That means the cult following surrounding this multi-talented multi-cooker just grew by 215,000, and there are flocks of new fans that are just getting to know its time-saving/energy-efficient/flavor-boosting abilities. Welcome aboard, amigos! Let’s share recipes and celebrate with cheesecake. In Instant Pot’s dessert repertoire, cheesecake is the unexpected star. What makes the pressure cooker such a good tool for this job? The high-pressure steam in the sealed vessel cooks the dense filling evenly, while the moist environment helps prevent the surface from drying and cracking. 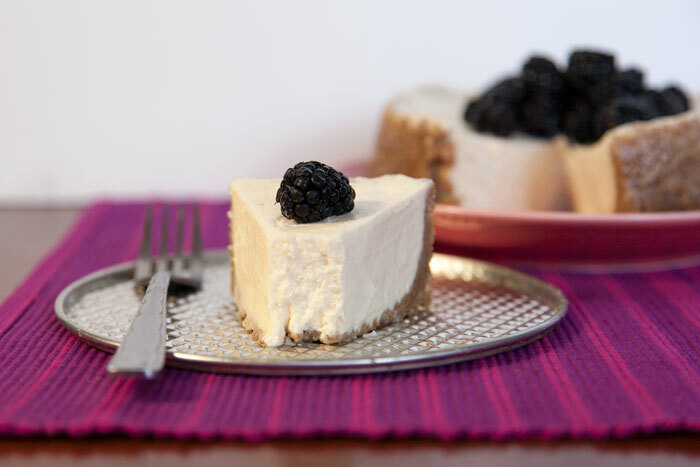 It’s the perfect storm for cheesecake perfection! 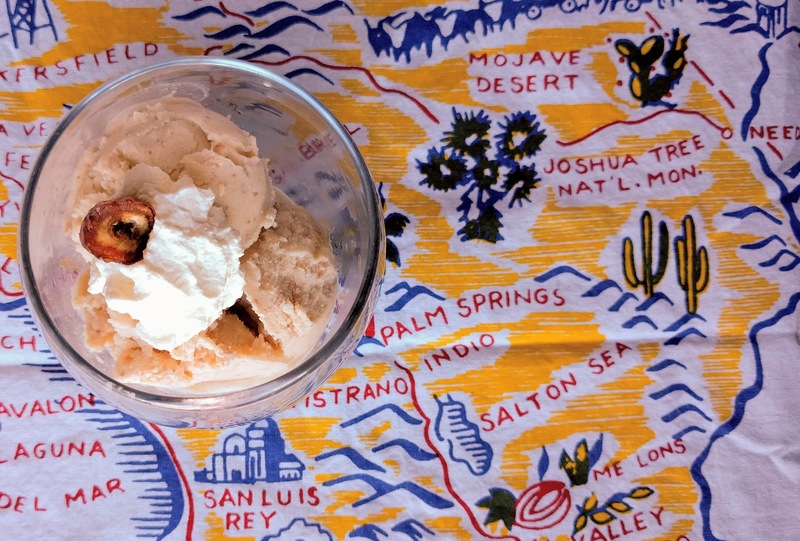 Seasonal cooking gets tricky when the calendar says it’s Fall, but the weather does not. 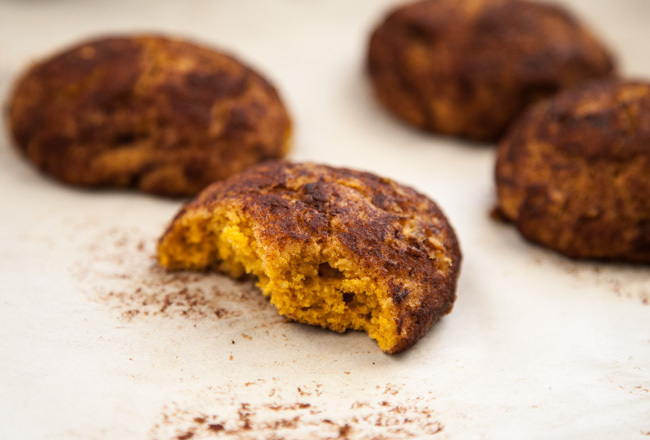 This is a treat that can ease the pain of being stuck in that awkward limbo between seasons – when you’re dreaming of warm spices and baked goods fresh from the oven, but what you really need is something out of the freezer. If you’re drawn to the autumnal charms of apple pie, and you agree that it’s at its best when a la mode, you’re way overdue for an inside-out twist! 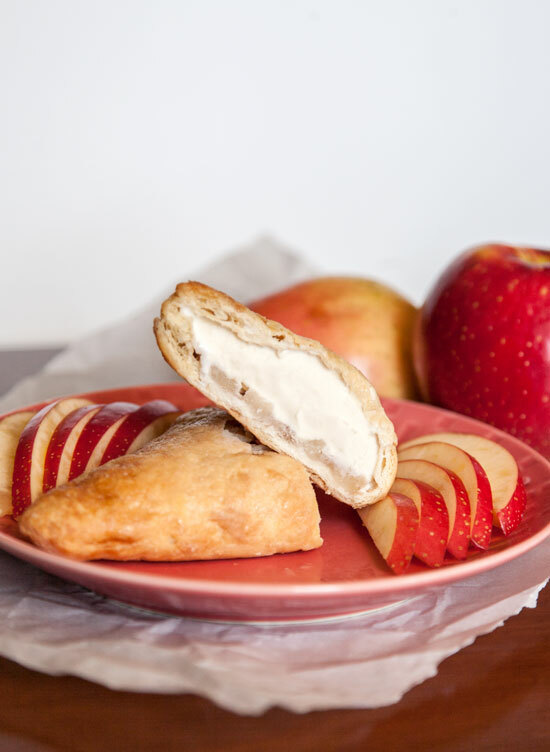 Join me in lazy-cooking bliss by buying a box of apple turnovers from your local bakery. 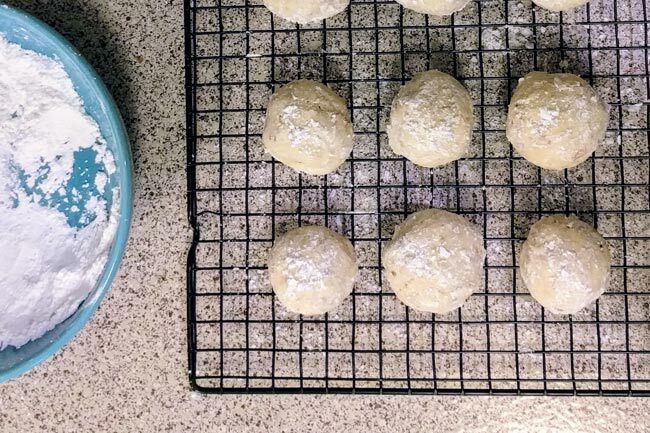 Freeze them, slice them in half, and admire the airy void between the pastry and the filling. 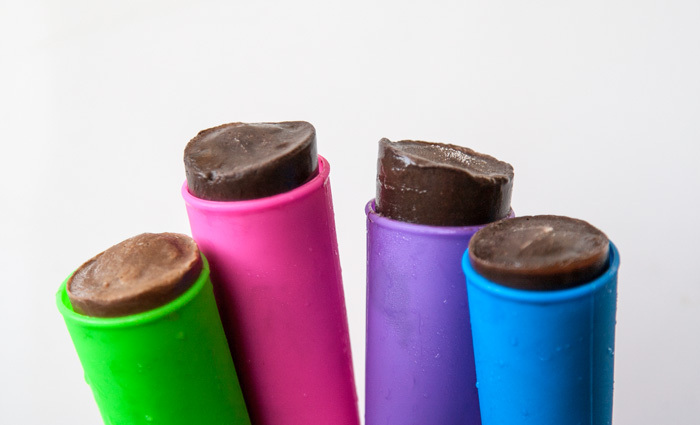 Soften a tub of vanilla ice cream or frozen yogurt and use it to fill the pocket, gently pressing a spoonful at a time to create an even layer. 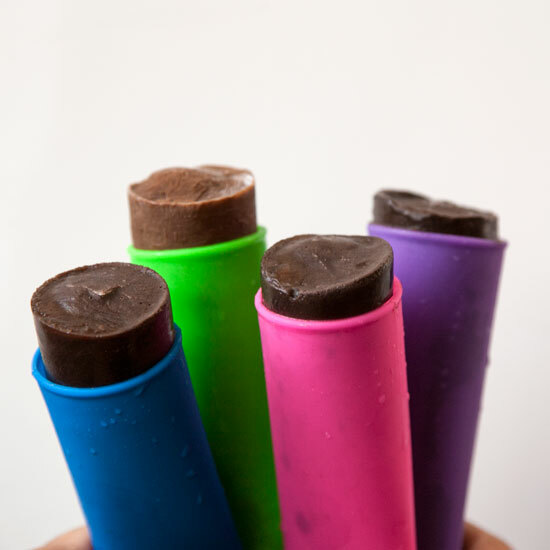 Pop your stuffed triangles back into the freezer to firm up, and look forward to blowing your mind. 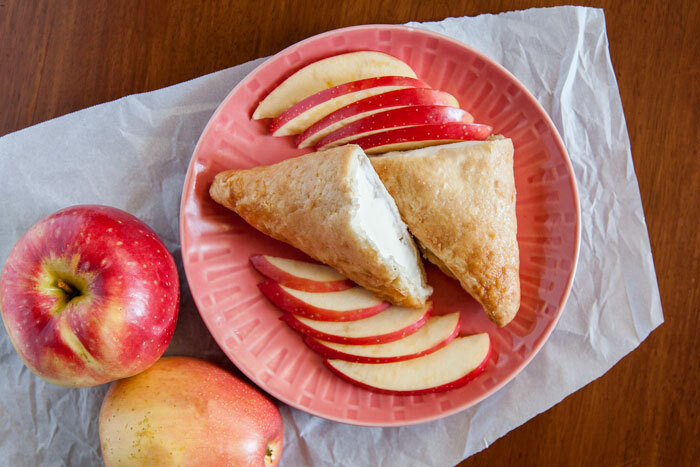 Each stuffed triangle is a perfect hand-held package, but it’s a rich dessert, so keep portion size under control by choosing smaller pastries. I’m on the hunt for mini-sized turnovers, because this would just be such a killer finish for a dinner party!